All aviation regions that have significant operations will continue to leverage a combination of Secondary Surveillance (Mode S or A/C) and primary radars for purpose of surveillance of cooperative and non-cooperative aircraft. In addition to the existing radar infrastructure, several countries are also deploying ADS-B ground stations to provide for certain operational efficiencies, such as enhanced aircraft tracking and air-to-air surveillance including hybrid TCAS and ADS-B In. Australia: Operations in Australia require ADS-B equipage, with some exceptions, starting February 2, 2017, using a ground service network of 74 stations. The Australian deployment leverages ADS-B ground stations to provide surveillance for the less populated western parts of Australia as well as around the major metropolitan areas. Canada: Aircraft operating in certain airspace around Hudson Bay should be equipped with ADS-B to increase operational efficiency. Currently, five ground stations are deployed around Hudson Bay. Canada is also expanding ADS-B services toward Greenland using ground-based stations and, in the long-term, space based ADS-B for remote and oceanic areas. Europe: Certain aircraft operating in Europe must be equipped with not only ADS-B capability, but also Elementary or Enhanced Mode S transponders as of June 7, 2020. The EU Surveillance Performance and Interoperability Regulation applies to fixed-wing aircraft with a MTOW greater than 5,700 kg (12,500 lb.) and with a max airspeed over 250 knots, but EASA is expected to introduce a proposal for an expanded airspace-based mandate in summer 2017. United States: All aircraft operating above 10,000 feet and in Class B and C airspace must be equipped with ADS-B by January 1, 2020. A number of countries in the Asia Pacific region are also establishing ADS-B mandates for certain airspace and select routes including Singapore, Hong Kong, Republic of China, Vietnam, India, Indonesia and the Seychelles as well as in South America including Columbia and Mexico. Australia: According to Airservices, 94 percent of business jets; 98 percent of turboprops; 64 percent of helicopters; and 89 percent of IFR aircraft were compliant as of October 25, 2016. United States: The FAA, as of September 1, 2017, tracked 41,590 ADS-B equipped aircraft, including 30,351 fixed wing general aviation aircraft, 1,249 rotorcraft, and 1,287 Part 121 air carrier aircraft. 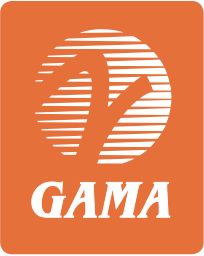 The FAA shares make/model equipage data through the Equip 2020 program and this data can be obtained through GAMA. Equipage solutions are available for most aircraft models including airplanes and rotorcraft. ADS-B provides direct benefits to the government and air navigation service provider by providing higher update rate of the aircraft’s position (i.e., one position update per second as opposed to four or 12 seconds for radar) resulting in an improved tracker. ADS-B improves operations of Traffic Collision Avoidance System (TCAS) by allowing strategic use of ADS-B data versus active interrogation of closer aircraft which will, in the long-term, enable improved spectrum utilization that improves airspace capacity and throughput. ADS-B is a low-cost collision avoidance technology for general aviation aircraft that are not equipped with TCAS. GA aircraft equipped with ADS-B In obtained enhanced situation awareness about surrounding traffic and some ADS-B In traffic applications provide for annunciation of potential traffic conflicts. The U.S. deployment of ADS-B has expanded surveillance, especially at lower altitudes and in mountainous regions, specifically benefiting GA through better flight following and earlier “direct to” routing. The U.S. ADS-B program also includes the deployment of Flight Information Services (i.e., weather) on one of the two ADS-B links as free safety service to the general aviation community. Rotorcraft operators in the Gulf of Mexico are among the early adopters of ADS-B. Operations in the Gulf of Mexico benefit from surveillance where there was no surveillance before which allows for operations to be conducted during weather conditions that did not permit operations before (i.e., IFR) and shorter routes that result in significant fuel savings for each operation and improving safety by the aircraft being under positive surveillance by ATC. FAA analysis of operational data shows fuel savings of 96 pounds per flight and distance savings of 14 nm per flight. A conservative estimate showed that operators saved 20,000 pounds of fuel during the first 30 days of ADS-B operations in the Gulf of Mexico. Do you need to equip?